Michael Turner provides the company with strategic analysis, government relations management and support of the Alacrity business incubators program. Previously, Michael was a senior executive with the Canadian Government, leading the IT and telecommunications operations within the common services agency. During this period, he was a member of the executive team responsible for implementing over 100 Internet based eGovernment services for Canadian citizens and businesses. Prior to this, Michael served for more than 25 years in various operational and executive positions within the Canadian Coast Guard, culminating in several years as Deputy Commissioner. 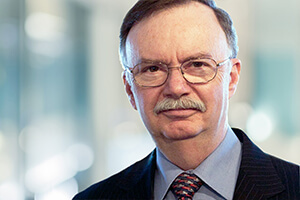 Michael currently serves on the Defence Advisory Board for the federal government, and on the Board of Directors of Wavefront, the Canadian wireless innovation accelerator.